Ian B. Everhart is an associate practicing in the areas of labor and employment law, as well as general litigation. Admitted to practice in Pennsylvania, New Jersey, the District Court for the Western District of Pennsylvania and the U.S. Supreme Court. 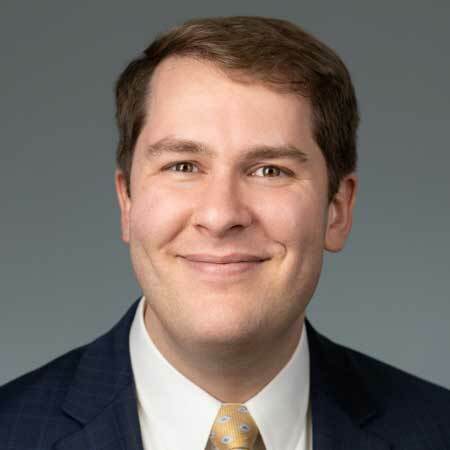 Ian graduated from the University of Pittsburgh School of Law in 2014, where he earned CALI awards in Constitutional Law and Employment Discrimination, and served as Managing Editor of the Journal of Law and Commerce. After law school, Ian served as Assistant Counsel at the Pennsylvania Department of State, where he represented the Commonwealth in election dispute litigation in federal and state court, counseled state officials on their duties relating to election administration, corporations and charities, and also offered advice related to the Right-To-Know Law, human resources decisions, and regulatory and legislative bill analysis. Ian enjoys nothing more than going on a good long bike ride, and he steeled himself for the long journey of law school by riding the 330 miles of the Great Allegheny Passage/C&O Canal Trail from Washington, D.C., to Pittsburgh. He sometimes turns his creative energies to rhyming poetry, and his great unfinished project remains a versification of the U.S. Constitution. Ian grew up in Pittsburgh, and after moving away for college, spending two years in the Peace Corps in Honduras, returning again for law and graduate school and then working for almost four years in Harrisburg, he is pleased to be a Pittsburgher again. He and his wife Laura live in Shadyside.